Originally published on July 23, 2017, INDY STAR. As a political science professor for over three decades, my research, teaching and community engagement has sought to further understanding about religion and politics. 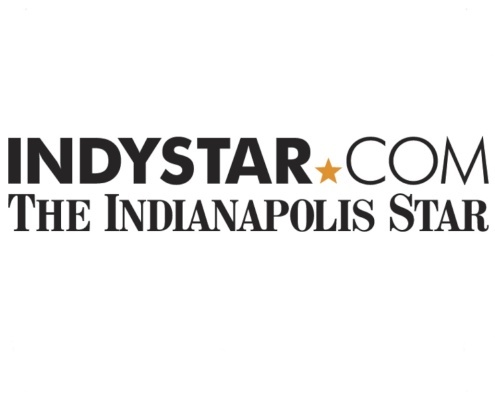 As such I must respond to a recent op-ed in the IndyStar by Dennis Sasso. Sasso’s vitriol against that with which he disagrees, be it the Jewish tradition or Vice President Mike Pence’s constitutional conservatism, is disappointing. Certainly a healthy democracy benefits from vigorous debate on contentious issues. But Sasso has a habit of misrepresenting facts and manufacturing history that serves neither to improve public discourse nor further civil debate. Sasso grounds his belief system in what he calls “progressive Judaism,” an ideology similar to both Hellenistic Greek and modern secular opposition to the Jewish tradition. His progressivism invariably involves wild proclamations such as equating Jewish Orthodoxy with “a Turkish model of religious nationalism,” a claim that conflates Jewish belief with the Islamic drive to establish a caliphate. One might argue from a progressive view that classic liberal constitutionalism and Jewish tradition are old fashioned, backward and opposed to progressive ideas. These criticisms demand a serious response. But it is difficult to take seriously Sasso’s outlandish attacks and his claim that Orthodox Jews are making new political demands and changing the rules for religious practice in Israel with “dire consequences for democracy.” The truth is that Orthodox Jews are defending the Jewish tradition from the radical changes Sasso supports. In the past, Reform Jewish opponents were quite open and honest about their desire to destroy traditional Judaism. Sasso, who in the past has publicly denied the fundamental tenets of Judaism, should simply admit his opposition to the tradition. His ideology will not rest, and will tolerate no opposition or reasoned debate until the Jewish tradition is no more. Perhaps if Sasso had a better fundamental understanding of Jewish beliefs he would recognize that traditional Jews have a great appreciation for American constitutional norms. In an essay published in an Israeli newspaper he accused Pence and others supporting the Religious Freedom Restoration Act as being extremists and bigots opposed to American ideals and Jewish ethics. The law reinforced First Amendment protections including those essential for Jews who sought to maintain their ability to act in the public square in accordance with their religious beliefs. Certainly reasonable questions could be raised about the implications of the law. But Sasso was enraged by Pence’s support for the law, which he characterized as giving “a private business the right to restrict or limit services to LGBTQ persons on religious grounds.” The law did no such thing. Law Professor David Orentlicher criticized attacks on the law as “serious misperceptions of what a RFRA actually can do,” stating that in fact “RFRAs have posed little, if any, threat to the public.” Regardless of the facts, Sasso had no trouble misrepresenting a law reinforcing classic First Amendment rights in order to promote his agenda. Serious and reasonable debate about fundamental beliefs and particular policies should be welcomed. Sasso’s fabrication of the truth to promote his ideology is neither serious nor reasonable.